CasinoCruise was launched in 2014 as the premier cruise-themed online casino. The casino is managed by EveryMatrix LTD, a leading online casino operator and offers over 1200 games from a dozen software providers. Casino Cruise welcomes almost all players worldwide and allows deposits and withdrawals in over 25 currencies. New players can enjoy a $/€/£ 1,000 Welcome bonus plus additional 200 Free Spins. Restricted Countries: USA, France, Italy, Spain. USA Players please click here. As a new player at Casino Cruise, you can take advantage of a $/€/£ 1,000 multi deposit bonus + 200 Free Spins! On your firs deposit you can get a 100% bonus up to $/€/£ 200 plus 200 free spins. Second deposit bonus is worth 50% up to $/€/£ 200. 3rd + 4th deposit bonuses will give you 25% up to $/€/£ 300. The wagering requirements of all bonuses are x40 the bonus amount, exactly the industry average. Please notice that while the bonus is active, the maximum bet on slots is $/€/£ 5 per spins; for all other games the maximum bet is $/€/£ 30. None of the bonuses have maximum cashout limits, but make sure to check the terms if something not clear. There are plenty daily/weekly and monthly promotions for new and existings players. Some offer various bonuses, such as Monthly Splash Bonus, Friday Freebie, etc, while some can get you an 12-Night Romantic Cruise over the Mediterranean. As we’ve mentioned before, player can enjoy over 700 games, from 5 software providers: NetEnt, Microgaming, Vivo, Play ‘N Go, and NextGen software. These include every possible casino game: classic slots, video slots, video poker, blackjack, roulette, craps, keno, baccarat, poker, progressive jackpot games. We won’t start listing them all, but just to name few most popular slot machines: Thunderstruck, Immortal Romance, The Dark Knight, Break Da Bank, Hearts and Tarts (Microgaming). Dead or Alive, Jack and the Beanstalk, Jackpot 6000, Jack Hammer (NetEnt). Merlin’s Magic Respins, Jackpot Jester 5000 (NextGen). On top of that, you also have plenty Live Dealer tables for Roulette, Blackjack and Baccarat which are open 24/7. The overall expected RTP at Casino Cruise online casino is 97%. As you can expect from EveryMatrix casino, Casino Cruise offers one of the best banking services you’ll probably see online. In total, they have over 50 deposit and withdrawal methods in 25 currencies. We won’t list them all, but they do accept and pay withdrawals to all major credit cards, debit cards, e-wallets, prepaid cards and instant banking services. Deposits: The minimum deposit amount varies from $/€/£ 10 to $/€/£ 20, according to the payment method you choose. Withdrawals: The maximum withdrawal is $/€/£ 5,000 per payment. You can contact Casino Cruise support via Live Chat, Tall Free numbers, Email or just request a callback. The support is available 24/7. Casino Cruise mobile casino is available on all devices: iOS, Android, Blackberry and Windows phone. On iOS and Android it’s done through a special Casino Cruise App which you can download for free. There are over 200 mobile casino games for you to enjoy, including 150 slot machines. 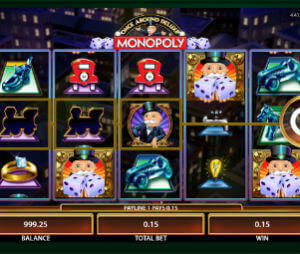 Cool design, huge array of casino games, generous bonuses and exiting offers to loyal members. Definitely one of the best online casinos launched in recent years.